Photographs taken on Saturday 15th January 2000 by Trevor George. 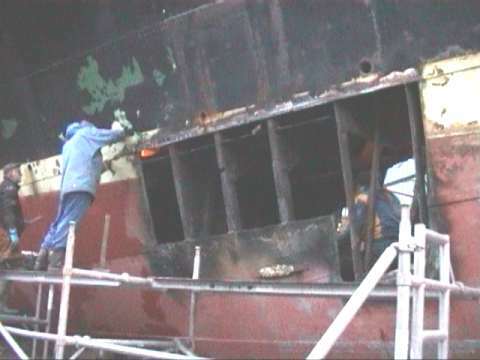 "B" Strake shell plating renewals at fore peak, both port and starboard. Note the daylight seen through the hull! 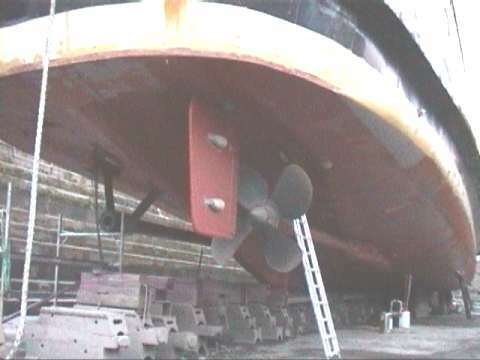 Port propeller and tail shaft removed for survey. 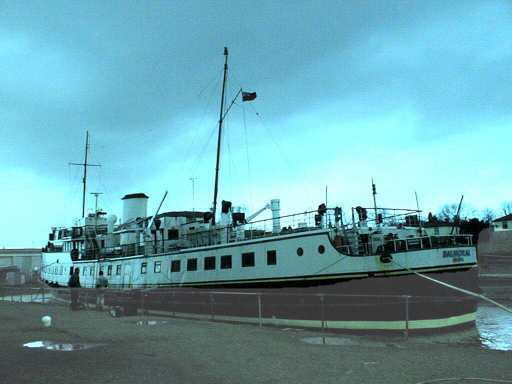 Photographs taken on Friday 18th February 2000 by Gordon Reid. 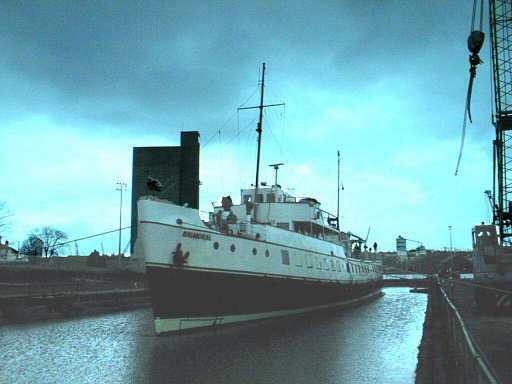 Balmoral in Sharpness Drydock, at noon. All steelwork renewals to the hull completed, pressure tested and approved by Maritime Coastguard Agency Surveyor. Photographs show the dock is almost fully flooded and caisson about to be removed. 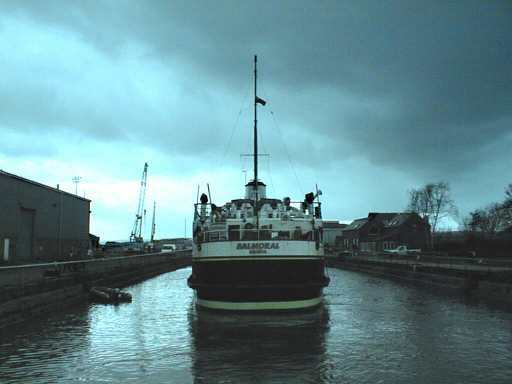 After exit from the dock, Balmoral lay alongside in the floating dock until 4pm, then locked out into the channel for the return trip to Bristol City Docks, arriving at approximately 9.30pm.